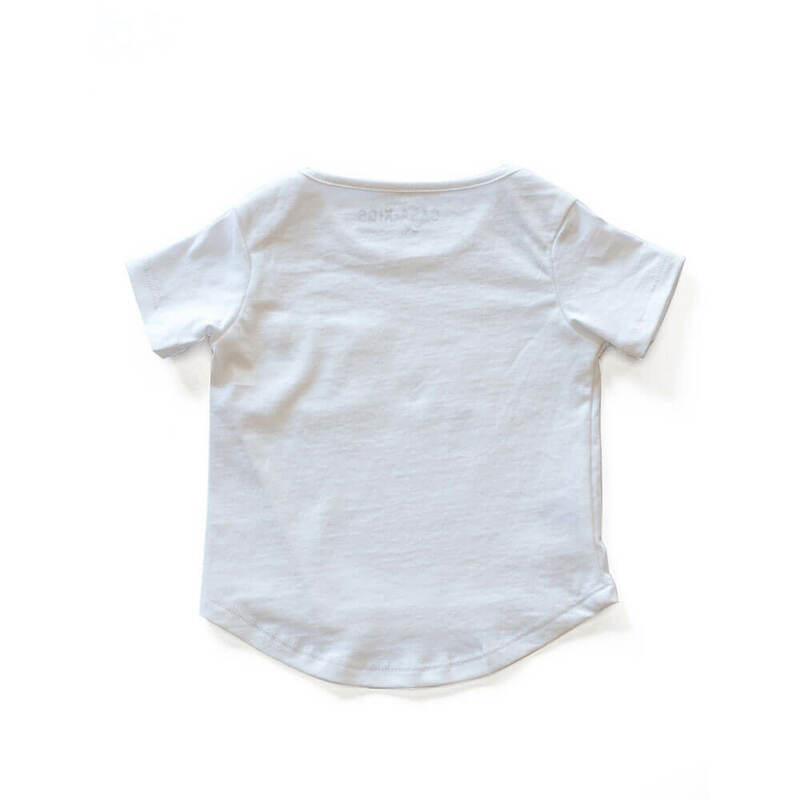 Designed as a mini version of the best selling Casa Amuk Classic Tee, the Twist Seam Tee is the ultimate in kids basics. Made from 100% Pima Cotton, this tee, along with the rest of their range, is a go-to for quality & fit, not to mention style. Because #babiesinbasics are what Casa Amuk are all about. 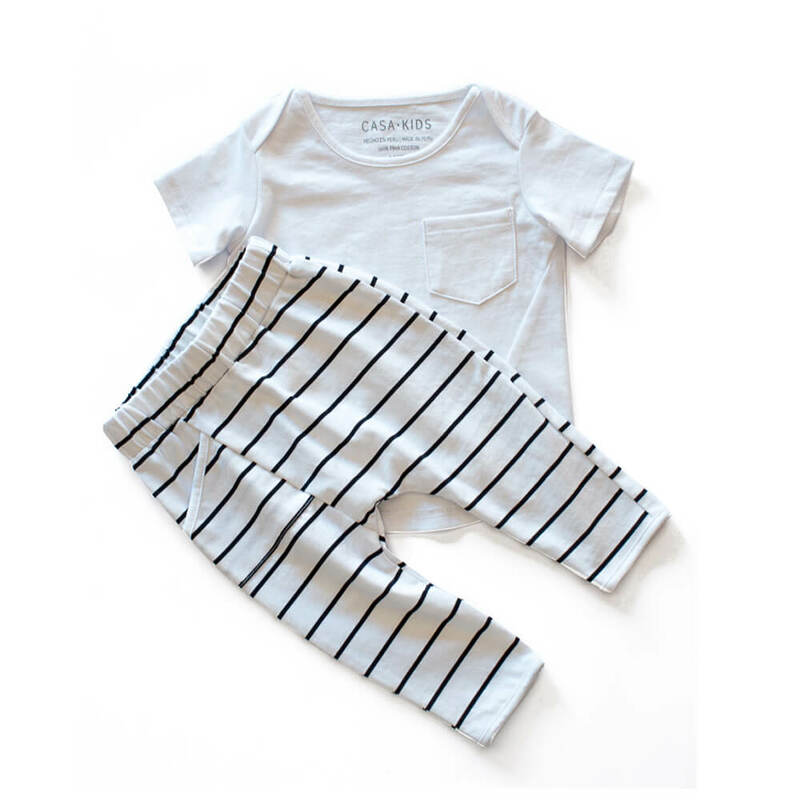 Using 100% Handpicked Pima Cotton, the Casa Amuk childrenswear range is high quality and will be much loved. 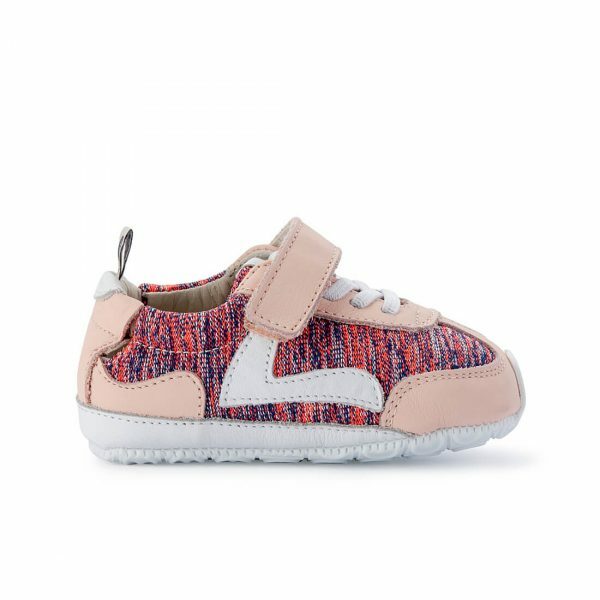 For toddlers and kids alike, these are pieces that are made to be a staple in the wardrobe. 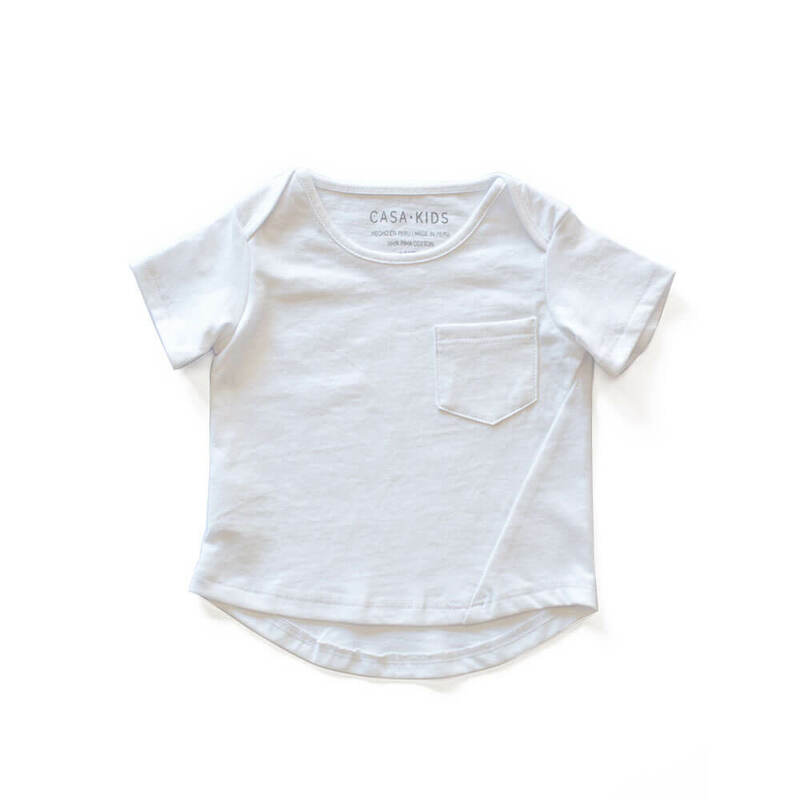 The Twist Seam Pocket Tee features a simple pocket at the front. 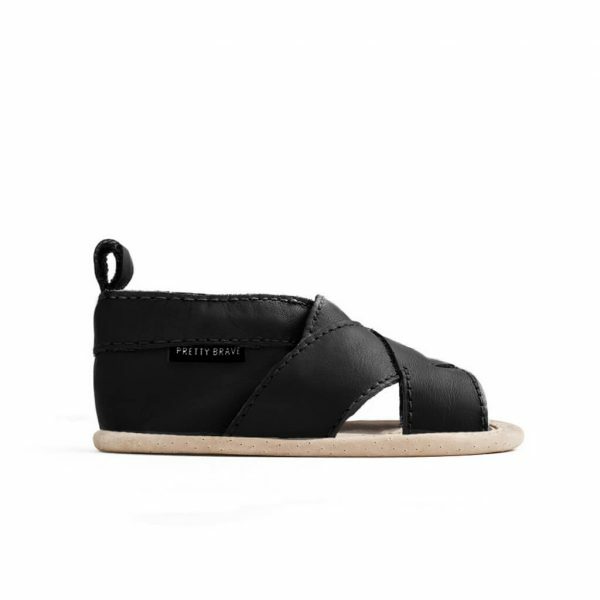 It is designed with a good neck opening to stretch over the head and has a cute twist seam detail. This is a crisp white tee that’s built with quality and fit front and foremost.